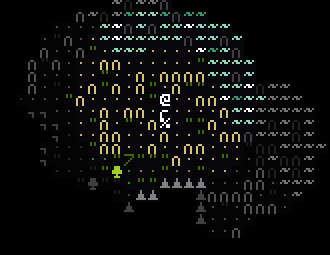 This release of Robinson features third-party tileset support in addition to small bug fixes. 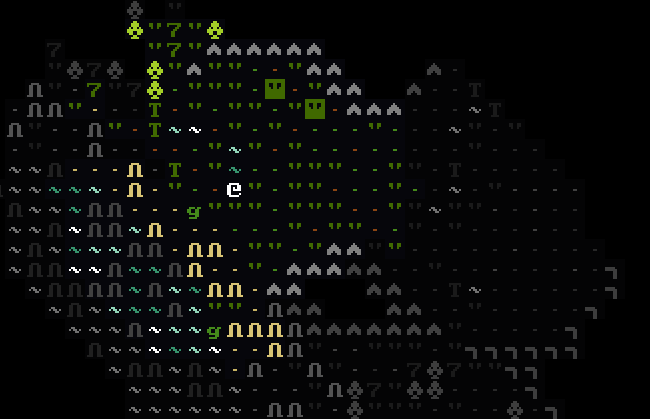 To add a new tileset, navigate from the main menu to (c)-config, (f)-font, (c)-create new font. Enter a name for your font. Then drag a tileset image onto the game to import it. 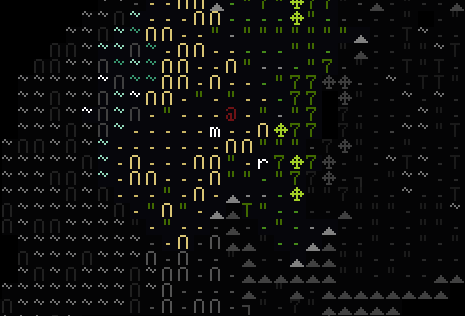 The Dwarf Foretress tileset repository is a good place to find third party tilesets. 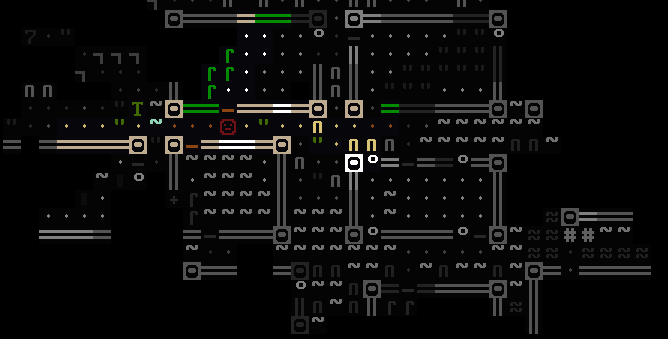 For some particularly small tilesets you may want to increase the size multiplier setting. 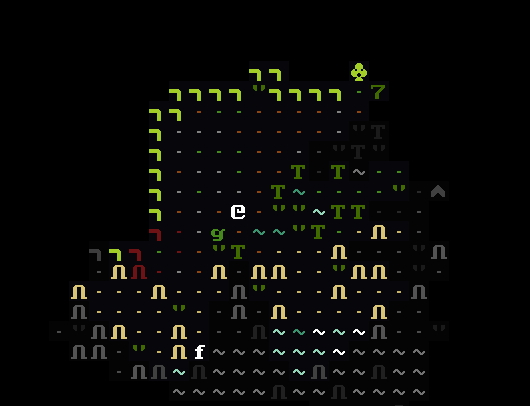 This has the effect of rescaling the tileset by the indicated factor (ie: making it bigger or smaller). When you're done press enter to save. You'll find your new font available in the font selection menu. If for any reason you want to peek inside the font config internals, feel free to examine the files in config/fonts firectory. You can open `.edn` files with your text editor and modify the internals as you wish.